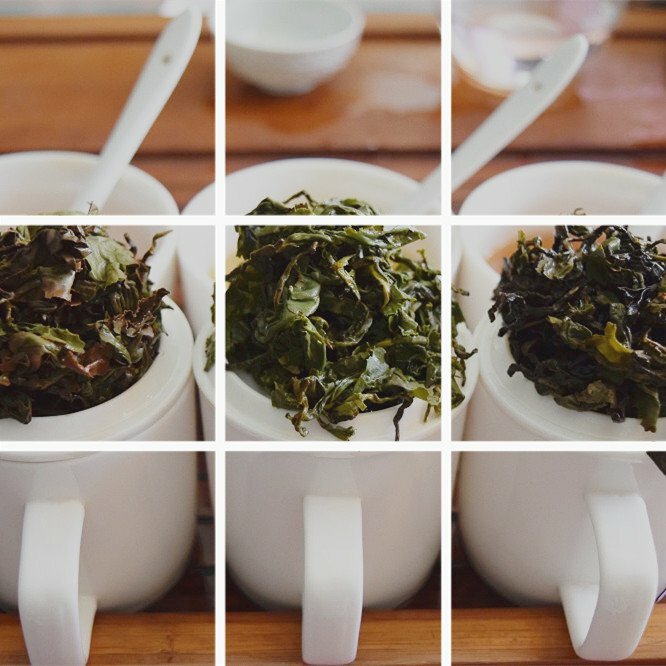 Home » Tea Culture » Toronto Tea Events! The end of January is shaping up to be an inspiring finale to Hot Tea Month, which is mostly celebrated in the US where it is necessary to add the word “Hot” to the title. Stateside, “tea” on its own usually refers to iced tea – not a cozy image for these short cold days. In Canada we seem to have adopted this celebration, keeping all three words intact, even if one of them is redundant. 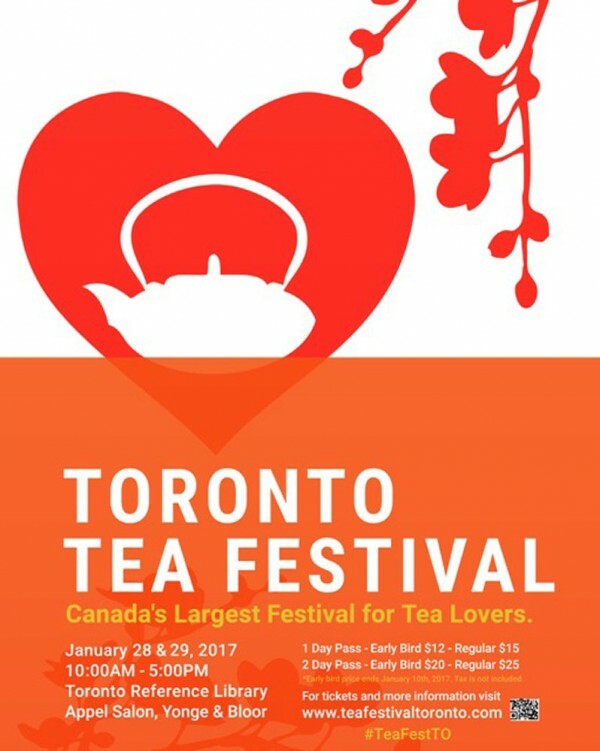 In perfect sync with the first day of Chinese Lunar New Year (year of the Rooster), The Toronto Tea Festival’s 5th year kicks off Saturday morning. Each year it grows in numbers and scope of programming. I’ve met attendees who wait all year for this event in order to refresh their reserves of tea and leave laden with lovely tea from a variety of terroirs. I haven’t missed a year. I’ve been a speaker for several years and will be again this year. On the festival’s first day, Saturday January 28th, 11am, I’ll be presenting “Sartorial Tea: 1000 Years of Tea Fads, Fortunes and Failures” - An historical overview of how style and fashion fads have been influenced by international tea culture. 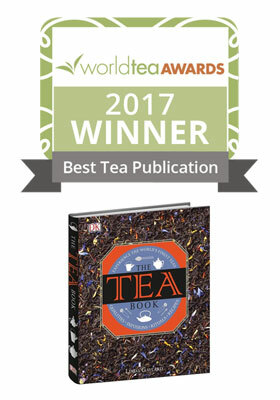 (My previous career is intruding on my tea career…) The next morning at 10.30am, Sunday January 29th, I’ll be presenting a tasting of Chinese Black Teas (Hong cha) along with other tea sommeliers and industry leaders at the festival’s Tasting with Tea Sommeliers. I will also have The Tea Book on hand for those who wish to purchase ($24). I’ll be a guest for a few hours each day at the Tea Guild of Canada table. In town from Ottawa, and with a booth at the fest, the folks from Zhen Tea have reserved the Friday evening before the festival, to present an in depth profile of Three flights of Oolong, inviting you to taste the difference in grade, cultivar, and process – tasting 9 Oolongs in total. This event is taking place in downtown Toronto Friday January 27th, 6.00 – 8.30pm at 301 Richmond St., Rm 303, (wear no perfume please) fee $50. Zhen is a skilled Chinese tea taster and well acquainted with the finer points of “listening to the leaf through taste”. This workshop is a rare opportunity to gain a deeper knowledge of Oolong and is therefore recommended for those with intermediate or advanced level tea skills. Bring your newly acquired skills to the Festival the next morning! Hope to see you at the festival!! I wish could attend. Your talk and tasting sound fascinating, and the oolong workshop would be invaluable. I wish you attend too Georgia! Perhaps next year?